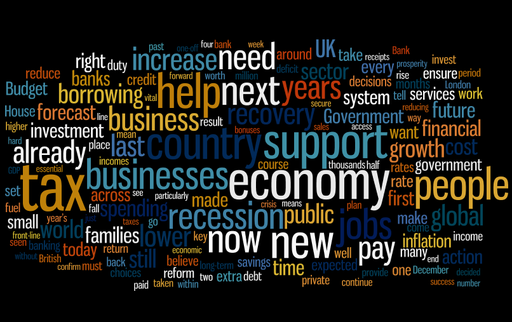 Between 2012 and 2014 Britain’s Economy has, along many others, been struggling through turbulent times. But why exactly? And is the current “recovery” really worthy of the name? Firstly, perhaps it is a good idea to explain some of the things that make up the Economy: The Balance of Payments is a record of a country’s financial transactions plus its trade in material goods with the rest of the world, and is divided into two accounts on the national balance sheet; the Current Account covers trade in goods and services such as international insurance business, legal fees, and commission earnings; the Capital Account records financial flows, currency transactions, and portfolio investment (stock and bonds). In the 3rd quarter of 2013, Britain was running a deficit of about £20bn on the current account, i.e. about 5% of gross domestic product, up by over £6bn on the second quarter of 2013. Though the 2013 figures were an improvement on the years 2011 and 2012, we have been running a considerable deficit since the 1980s. In short, the long-term history of British trade with the rest of the world highlights our endemic problem of importing over and above our total export. We have been living beyond our means. Why do we have this problem, though? Well, we operate an over-valued exchange rate, so our exports are expensive for foreign buyers, whilst our imports are cheap. We remain relatively uncompetitive and need more capital investme nt. But this is difficult if firms have little confidence in future growth at home and a fear of political instability – of Britain leaving the EU, for example. Interest rates for savers have been at zero for over 5 years. Household income tends to be spent, causing a rise in consumption, fuelled by christmas and the January sales. Far more worrying, however, is the flow of capital out of the British economy to better investment opportunities abroad. A country unable to produce sufficient manufactured goods to satisfy demand will tend to rely on imported goods, and because of the low wage economy and the high costs of property, we purchase those imports of household debt and insolvency. Superficially, 2014 saw signs of recovery, rising consumer spending, increased investment, export and manufacturing growth, with stable inflation, rising employment and a recovering housing market. Yet Gross Domestic Product remains 2% below its 1980s peak. Our “recovery” has been built on zero interest rates, hefty quantitative easing (printing money), stagnant wages and a housing rather than manufacturing boom. As many have pointed out, the British economy remains unbalanced and could easily be derailed by weaknesses in the Euro-zone, further government austerity measures, or political as well as economic problems in Russia, China and Brazil.